MRI Specialists patient focused premium care. 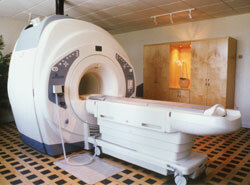 Beaches Open MRI technology delivers superior imaging and the highest quality open MRI results. MRI Specialists, Boynton Beach. MRI Specialists is American College of Radiology Accredited. All studies supervised and interpreted by experienced, Harvard trained physicians. Beaches Open MRI Boynton Beach is a definitive answer to clinical concerns. High quality imaging with an open feeling. Beaches Open MRI Boynton Beach offers a relaxed and personalized atmosphere. Physician owned and operated, we deliver premium service in a comfortable atmosphere that includes: Imaging of unmatched quality and clarity produced with state-of-the-art technology. A stress-free examination in an environment specially developed for open MR Imaging. Complete focus on the needs of our patients by a highly trained and dedicated staff. Beaches Open MRI Boynton Beach will exceed the highest expectations for both patients and physicians. Equipment is centered around the premium Infinion 1.5 Tesla ultra-short bore system. It is the first next-generation high-field-strength scanner in Boyton Beach in South Florida, and it is the best in its class, worldwide. The Infinion fits in well with our philosophy of premium service in a comfortable atmosphere; it combines extremely powerful imaging capability with the greatest concerns for patient comfort. We realize that patients have enough other things on their mind; we do not want patients to feel anxious about our equipment. Comfortable patients allow better examinations and receive better diagnoses. At Beaches Open MRI Boynton Beach, we feel our patients deserve and expect the very best care and results. Our Infinion scanner puts a premium on imaging quality. We demand premium service from not just our staff, but from our equipment too. While many new open MRI scanners emphasize comfort at the expense of power and imaging resolution, the Infinion utilizes the power found in the very best high-field strength, whole body scanners. It is five times more powerful than many common open scanners — it can find abnormalities that other scanners can miss. It is one of the most powerful systems available for providing patients and physicians with scans of exceptionally high detail to use for diagnosis. Incredible images, scrutinized by our expert staff, means the patient can take comfort in the fact that they are receiving the very best care.